New - now with line by line written instructions for previously charted only lace instructions. 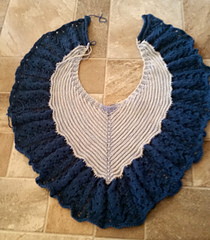 You can still get the free version of the pattern from Knotions, but for those who prefer written instructions to charts, a written version is now available for purchase. movement within the ice itself while Basal Slip is the entire glacier slipping and sliding downward due to gravity. 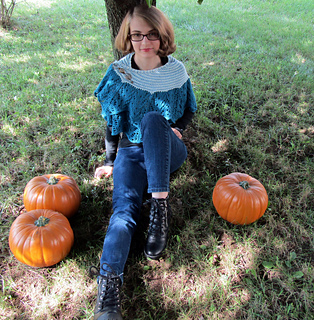 This top down heart shaped shawl starts with a garter tab and proceeds to slip and slide down to the lace border. (shown in Aran) and CC2- 2 balls. Naomi Parkhurst creates the most amazing stitch patterns based on words. 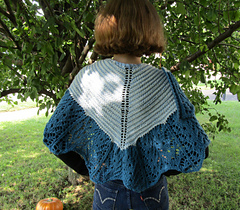 The border on this shawl is adapted from her Iceberg Lace pattern that can be found on her blog. Gauge while always important is not critical to this piece, however knitters gauge and yarn choices will impact materials needed and finished dimensions.